PostgresOpen 2017 will be held on September 6th - 8th in Silicon Valley, at the Parc 55 Hilton Hotel. The conference delivers two days packed with tutorials and presentations about PostgreSQL and related technologies, one day of extended trainings, and the usual hallway and social track! View our speaker videos from the 2016 PostgresOpen conference here. For over 20 years, PostgreSQL Community works to organize conferences with many technical and business talks by developers and key users globally. In addition to PostgresOpen, PostgreSQL Europe will be holding a conference in the Fall of 2017 - 2017.pgconf.eu. © Untitled. All rights reserved. 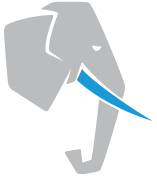 | PostgresOpen is an associated project of the United States PostgreSQL Association.